Water Heaters - San Diego CA - Steele Plumbing, Inc. Here at Steele Plumbing, we believe your plumbing system should enhance your life and make things more enjoyable and more convenient. But when your water heater fails, leaks, or bursts, things can go downhill quickly. We want to make sure you’re protected against not only the inconvenience of a hot water shortage, but also from the leaks and water damage that can occur when a water heater fails. Our team of licensed plumbers inspects, repairs, and installs water heaters in businesses and homes throughout San Diego. No matter what type of water heater you have or need, we can help. Electric Water Heaters — Why do homeowners love electric water heaters? Because they heat water up quickly, they’re relatively inexpensive to operate, they have great safety ratings, and they usually last a long time. What’s not to love? Gas Water Heaters — Why do homeowners love gas water heaters? 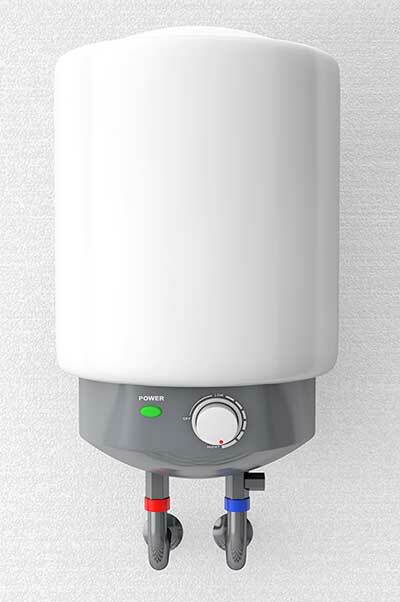 Gas water heaters are incredibly reliable and energy-efficient. These can also be safely used during a power outage, which means you can enjoy a hot shower no matter what’s going on with the city grid. Tankless Water Heaters — Why do homeowners love tankless water heaters? Tankless water heaters save space, time, water, and money because they don’t continuously heat water that’s stored in a tank and saved for use. Instead, they heat water as it’s needed. What else is there to love? Without a tank, there’s no risk of a burst or leak, so homeowners with tankless water heaters don’t have to worry about water damage either. If you’re considering having a new water heater installed in your home or business, you can count on Steele Plumbing to do the job right. We’re trained, certified, and highly educated, and we have expertly installed countless water heaters of all types for our neighbors here in the greater San Diego area. Whether you’ve already done the research or you need a little help choosing the right water heater for your home or business, we can help. But how can you tell if your water heater is going bad? If your water heater is in need of repair or it’s been a while since you’ve had yours inspected, give Steele Plumbing a call. Our plumbers are experienced and professionally trained to inspect, diagnose, and repair gas, electric, and tankless water heaters. Electric Water Heater Repairs — When these water heaters do fail, it’s usually related to the dip tubes, heating elements, breakers, thermostats, or wiring. 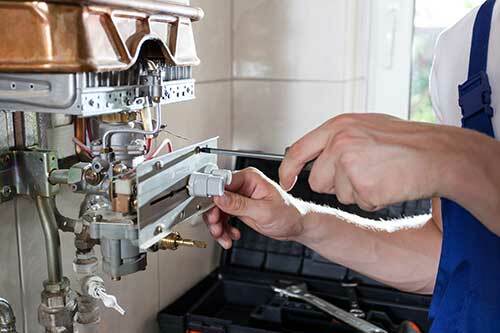 Gas Water Heater Repairs — When gas water heaters fail, it’s typically as a result of a problem with a gas valve, a dip tube, a thermocouple, a pressure relief valve, the thermostat, the pilot light, or the venting. Unfortunately, because these water heaters are fueled by gas, ignoring issues can be incredibly dangerous and can lead to fire or carbon monoxide poisoning. Tankless Water Heater Repairs — When tankless water heaters fail or experience issues, it’s usually as a result of a venting issue, a sensor issue, or high demand for hot water that the water heater simply can’t keep up with. No matter which type of water heater you have, whether you need some simple repairs or you need an entirely new appliance installed, you can expect fast, professional, high-quality service from Steele Plumbing — San Diego county’s preferred plumber. Call 619-254-7285 or reach out to us here on our website to schedule an appointment with a reliable, honest, and experienced licensed plumber today. To prevent sewage backup problems, consult with our plumbing installation and repair experts to find out if you need a sump pump repair or replacement.